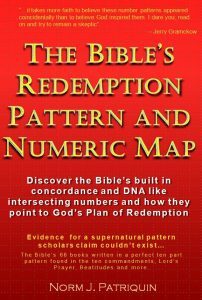 God has apparently created everything we are aware of with this Redemption Pattern and Numbers of the Numeric Map involved. This is a grandiose statement to make and the subject for a future publication, but it is worth mentioning here so you will be on the lookout for them. Deu 15:17 then you shall take an awl and pierce it through his ear into the door, and he shall be your servant forever. Also you shall do likewise to your maidservant. Notice how the text of this verse with reference of 15:17 seems to match with the historical event that took place in the year 1517…. Reformation Day is the Christian holiday we celebrate Martin Luther’s act of reformation – it is commonly celebrated on the 31st of October of every year but there are disputes as to the actual day of this act of Luther in posting the 95 thesis. I believe it is no coincidence that many celebrate Halloween on this same day and suspect it is a way to distract from this amazing Christian date in history. It seems very similar to how December 25th-Christmas, the celebration of the appearance of Jesus on earth (not necessarily the day of his birth) is claimed by many to be the improper date to celebrate. There are many evidences in the Bible strongly suggesting #25 is associated with many appearances of the Lord. The primary of these evidences is the 25,000th verse of the Bible where baby Jesus is first presented publically as the messiah at the temple. See the verses beginning at Luke 2:25(25)-26, 27 – Luke 2:26 is the 25,000th verse. The 2500th verse also points to an appearance of the Lord on earth–Exodus 34:3-8 encompasses this event of Moses going before the Lord who appeared to him (34:3 is the 2500th verse). Matthew 1:25 speaks of Jesus birth and Matthew chapter 25 is about the coming of the Bridegroom – Jesus. God is in control of this world more than we can possibly imagine and I suspect he causes some things to be that we thought are the work of men. I believe October 31st is the true Reformation Day, December 25th is God’s intended day for celebrating his appearance; and that numbers throughout the Bible are of his creation, not ours. This verse at Deuteronomy 15:17 is evidence the Bible contains numbers corresponding to dates in history. Although not proof, it is very interesting. This noteworthy verse in Deuteronomy tells of a seemingly strange custom, but when we see how it lines up with one of the most significant events in Christian history, we can get a glimpse of a reason the text was worded in the sort of strange way it was. God so often hides deep meanings in his word just below the surface of the text so he may reveal it to the diligent – when he decides it is time to do so. In this verse, the word “ear” used in the original translation may also be associated with posting a “notice”. It would make sense this scripture is saying the servant who desires to be a bondservant is to post a notice on the door of the ownwer’s house so others may be fully aware he is now a bondservant of his own will. Although this verse seems prophetic, it is not worded as a statement of prophecy. The text appears intentionally phrased to catch our attention so one day we might realize this passage’s chapter and verse reference are not accidental. God wanted us to one day know he deliberately numbered chapter and verses to perfection to prove without doubt he is the author of the Bible. Does God Judge Nations or the Bible speak to events such as the earthquake in Haiti? Is it possible that the events such as September 11th, 2001 in the United States; the Indian ocean earthquake and tsunami of Dec 26, 2004; or the recent earthquake in Haiti on January 13, 2010 , were judgments of God? Only God can say for sure, but maybe a better question is, does God judge nations for their sin or even, does God judge while we are here on earth, or is judgment postponed until we reach heaven or enter eternal life? The Bible has lots of examples of judgments of nations for their sin and it is interesting that several such examples seem associated with the Bible’s theme for number 911. The following information about the numeric theme for 911 might help you decide for yourself if God might be behind some of the world’s great catastrophes. It both shows biblical examples of God’s judgment on nations as well as how it might relate to 911…only God knows for sure. (see also definition for #19 which is related to #911). One of the best examples of numbers in our world and history is the date September 11,2001 which we now commonly refer to as 911. Some of us also know 911 is the telephone number we enter to quickly get emergency help. Could God be behind the number 911? Scripture seems to say so. This is what I believe to be the Bible’s best reference to 911 and the first one I discovered. Daniel 9:11 is the 22,000th verse of the Bible and 22 is one of the strongest numbers associated with him. The 31 verses on thousand verse boundaries are key transitional verses and I happened to notice this reference to 911 when studying them one day. God’s number 911 is related to God’s wrath and dealing with nations that have turned from him. It is important to differentiate that 911 appears to be about the sin of nations and not about individual salvation. You will find this nation related theme consistently associated with the Bible’s 911 verses. The number 911 is made up of the foundational number nine which has a theme including persevering until the Lord’s return, and eleven which is a number of warning. 911 fits both a general overall theme as well as the themes for numbers making it up. Positive 911 vs negative 911: Number 911 is also seen in some passages in a positive light as a reference to those saved upon the Lord’s return, but it seems to appear more often in reference to consequences to nations. 911 is also directly related to the numbers 92 and 29 which have a theme including and very often related to that catching up of God’s people prior to Jesus return. 911 related Bible verses seem more consistently related to condemnation and warning while 92 and 29 seem more often about events happening just prior to the return of the Lord. 23,998 – Matt 24:40 “Then there will be two men in the field; one will be taken and one will be left. 23,999 – Matt 24:41 “Two women will be grinding at the mill; one will be taken and one will be left. 24,000 – Matt 24:42 “Therefore be on the alert, for you do not know which day your Lord is coming. 30,999 – Rev 18:5 for her sins have piled up as high as heaven, and God has remembered her iniquities. 31,000 – Rev 18:6 “Pay her back even as she has paid, and give back to her double according to her deeds; in the cup which she has mixed, mix twice as much for her. It seems logical that three Bible chapters in sequence might tell of Jesus return, but we don’t notice this progressive sequence of chapter events when they cross book boundaries. When we understand the meaningful nature of the Bible’s numbering, (in this case the cross Bible chapter numbers), we can use the guide of themes for these numbers to understand their contents. 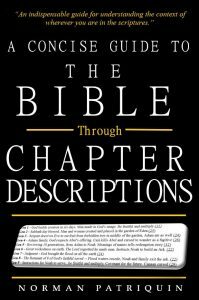 Bible chapter numbers help us see that Haggai chapter 2 followed by Zechariah chapters 1 and 2 are three successive chapters that give a picture of events leading up to, and following Jesus second return. The 911th, 912th and the 913th chapter of the Bible appear to foretell the return of the Lord. Haggai 2, the 911th Bible chapter is the warning of his imminent return; the next and 912th chapter gives the vision of his actual return; and the following 913th chapter reveals the Lord on earth ready to take his first action of measuring Jerusalem. These three chapters and the ones surrounding them seem to be an agenda of events regarding the very last days. The following verses from Haggai chapter 2 help demonstrate how the chapter is about warning of the Lord’s return. The phrase “in a little while” tells us it is about something yet to happen and may even be an indication of when (see note below). The closing verse of the chapter at 2:23 specifically mentions “that day” in reference to the day of the Lord helps us confirm the #911 related theme. (other Numeric Map related numbers also help confirm the theme). Note, the phrase “a little while” found in Haggai 2:6 happens to occur in 29 Bible verses which is more support for the theme of the numbers #911, #29 and #92. These 29 verses appear to all be related to the theme of #29 about the return of the Lord and can be separated into two categories related to timeframes of the first and second coming of Jesus – the time Jesus is on earth prior to his ascension, and the time until his return. see definition for number #29 on web site for more about this. We know in the last chapter of Haggai we read about the warnings of the Lord’s, and now in Zechariah 1, the 912th chapter we read about his actual return – the vision of Jesus actually touching down on earth which is commonly called the second return of the Lord. Following is a conversation with Jesus from that chapter that shows this is a vision of real conversation between the Lord and Zechariah on earth. I would not read this as if it were a dream but rather as a real vision from God – as if God played a movie for him. Beginning with chapter #911 which is the last chapter of Haggai, these three successive chapters help confirm the 911th chapter is actually about the warnings of Jesus imminent second return that will begin with a shaking of the heavens. I suspect we are seeing many of these warnings in our world today – which seem to indicate his second coming is very near. Below are verses demonstrating more evidence for the consistent theme of 911. These are 12 of 37 Bible verses with a reference of 9:11 and represent the best examples of the number theme relationship. If you example all the 9:11 verses you will find a very similar, but more subtle allusion to this theme. If you have the normal skepticism that these are conveniently selected examples to fit my premise, take a few moments to truly ponder how 1/3rd of the 9:11 verses have such a strikingly similar theme. This examples of of the 9:11 themes along with so many other 911 related evidences should suggest to you that this might not all be coincidence. I devote a section of my book about the similar themes running through like referenced if you are interested in reading more about them. Neh 9:11 “You divided the sea before them, …And their pursuers You hurled into the depths…. Ezr 9:11 ……the uncleanness of the peoples…their abominations …filled it from end to end with their impurity. Num 9:11 ‘… they shall observe it; they shall eat it with unleavened bread and bitter herbs. The Bible has 31,102 verses and amazingly, the themes implied in the sequence numbers from beginning to end represent themes found in the text of their verses. As unbelievable as this perfection seems, you find compelling evidence in verse examples such as the 24,000th verse mentioned earlier. We all know there are 24 hours in a day and this verse in Matthew 24; is in a chapter about the coming DAY of the Lord; also points to a key verse to be on the alert for this specific DAY; as well as having a verse reference of 42 which is thematically very closely related to the number 24. The random possibility of all these five strong references to the number 24 landing on this unique 24,000th verse is beyond a one-in-a-billion chance. The following examples for 911 not only demonstrate the 911 theme but also are further evidence of the Bible’s perfection. Given the 31,102 Bible verses, you will find just three sets of ten verses having cross Bible verse sequence numbers ending in 9110-9119. These are found in the first, second and third of the Bible’s 10,000 verse sets. Each of these three sets of ten verses have sequence numbers strongly related to 911 as well as text that supports the same repeated theme. Following is a bit about each of these 911 verse sets. 1Kings 11:1-10 corresponds to the 9110 through 9119th verses of the Bible. These ten 911 related verses also happen to fall on the first through ten verses of a chapter 11. Evidences such as how these number align suggest the depth of perfection to God’s numbering beyond imagination. BV:9112 – 11:3 He had seven hundred wives… his wives turned his heart away. BV:9117 – 11:8 Thus also he did …burned incense and sacrificed to their gods. BV:9119 – 11:10 …but he did not observe what the LORD had commanded. Jer 6:26 O daughter of my people, put on sackcloth And roll in ashes; Mourn as for an only son, A lamentation most bitter. For suddenly the destroyer Will come upon us. So these 30 of the total of 61 verse having a cross Bible verse number including 911 all deal with nations and cities having turned from the Lord. If you are like me, when you realize what God has done you will develop a new respect for the accuracy of the Bible. The meanings of these verses include some of the same references as noted above. Note that some of the numbers are very strong, one of a kind numbers in the Bible. On June 7, 1967 (6/7/1967) Jerusalem falls and is retaken by the Jews in Israel’s six day war. By June 7th Israel had basically won the war. This war is sometimes called the 1967 war. It appears the date of this event and the length of this war both relate to the number symbolism for 67 which speaks of God giving his people rest or victory on the 7th day. I first considered the relationship of this verse to the 6/7/1967 date through the verse reference of 17:16. It is difficult to explain, but there is sufficient evidence in the patterns of scripture for me to draw this assumption. Because of the special nature of this 2000th verse; the content being about the delivery of Israel from Egypt; the similarity of the 6/7/1967 date to the 17:16 verse reference; and the fact that is was specifically that Jerusalem was recaptured on this date, I’ve guessed for a long time that the date was related to the Bible’s symbolism for the number 67. But it was just recently (January 2010) that I made two more startling observations – Exodus chapter 17 happens to be the 67th chapter of the Bible, an interesting coincidence-or is it? This specific verse 16 is the 467th verse in Exodus. All I could say to myself was — Wow! There’s even more – this is also the last verse of the chapter which is a clear marking point for the end of this part of Israel’s history. All these things pushed my suspicion of the special nature of this verse to a personal confirmation of the relationship of this verse to this date in history. I don’t imagine how it is possible for all these things lining up by sheer coincidence. Still more evidence for the symbolic theme for #67? – The symbolism for the number 67 appears directly related to many mentions of six and seven together in the Bible. The most prevalent combination of 6 and 7 in scripture is in references to 6 days work and the 7th is rest but there is more. Note how all the following verses seem to point to a more common theme of how God delivers on the 7th of a series of different types of things. It can be the seventh year, month, day or even seventh item in a list. These verses seem to speak of God giving freedom or rest on the seventh just like it appears he did on 6/7/1967. Deu 15:12 “If…a Hebrew…is sold to you, then he shall serve you six years, but in the seventh year you shall set him free. Job 5:19 “From six troubles He will deliver you, Even in seven evil will not touch you. Exo 24:16 The glory of the LORD rested on Mount Sinai, and the cloud covered it for six days; and on the seventh day He called to Moses from the midst of the cloud. The number 67 seems to have a theme that God delivers and gives us rest on the seventh of a series of events. It is not only that the seventh day is a sabbath day for rest, but that God has given us the seventh and sabbath day for rest. Mrk 2:27 Jesus said to them, “The Sabbath was made for man, and not man for the Sabbath. In these and many other verse evidences for this symbolism we find this theme. One more thing in case you missed the relationship earlier — Jerusalem was freed on 6/7/1967 in a war that was called Israel’s 6 day war….on the 7th day they rested? Again, the preciseness of the Bible is amazing…judge for yourself if you think there is a real possibly of some historical confirmation of the Bible’s divine numbering. God is Good!